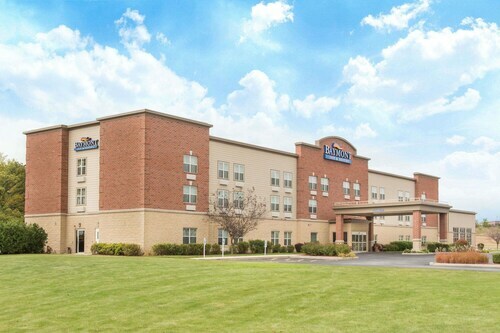 Located in the heart of Plymouth, this hotel is within a 15-minute walk of Evergreen Golf Course and Sheboygan County Fairgrounds. Antoinette is 1.1 mi (1.8 km) away. 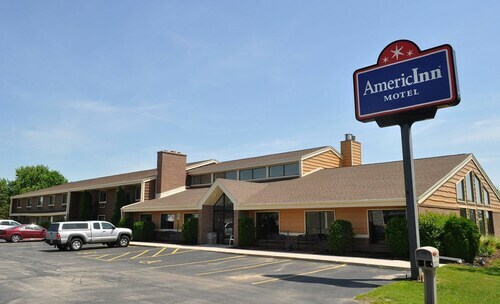 Situated in Plymouth, this hotel is within 3 mi (5 km) of Evergreen Golf Course, Sheboygan County Fairgrounds, and Antoinette. Kettle Moraine State Forest and Road America are also within 9 mi (15 km). 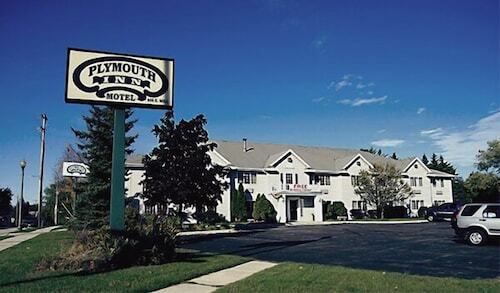 Situated in Plymouth, this hotel is within a 10-minute walk of Antoinette and Sheboygan County Fairgrounds. Evergreen Golf Course is 0.7 mi (1.1 km) away. 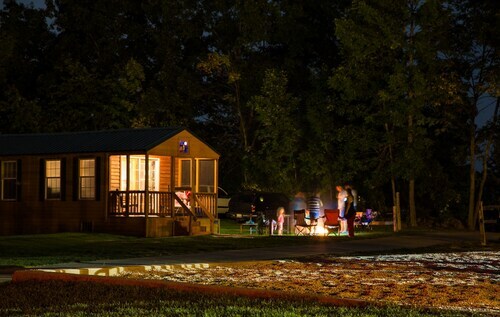 Located in Plymouth, this family-friendly cabin is 1.1 mi (1.8 km) from Road America, and within 6 mi (10 km) of Sheboygan County Fairgrounds and Kettle Moraine State Forest. Evergreen Golf Course and Antoinette are also within 6 mi (10 km). Are you looking for a break from the hustle and bustle of your day-to-day life? Do you want to escape reality and forget about your never ending to-do list? Then why not treat yourself to a relaxing stay at one of the spa hotels in Plymouth? Whether it is for a weekend getaway or a staycation, book your visit to one of the Plymouth luxury spa hotels. With all of the amazing things to do around Plymouth, you will likely be worn out from sightseeing. The Plymouth spa hotels provide top of the line facilities with hot-tubs, saunas and private treatment rooms. Treat yourself to an indulgent hot stone massage or facial to rejuvenate from a busy day. If that's not enough for you, indulge in a full day-at-the-spa package. And maybe you are just looking to reach maximum relaxation before a fancy night out on the town. Take advantage of the salon features offered at most Plymouth spa hotels and get a mani-pedi before your evening begins. Travelocity wants to help you relax and rejuvenate during your next stay in Plymouth, but we know that spa treatments can put some strain on your wallet. Bundle your hotel and flight together and save enough to pay for your facial! 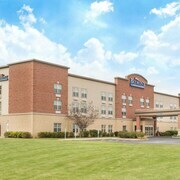 Very convenient to highway access to get to attractions in the area. I thought the place was nice and clean. The staff was also nice and informative. I thought the water park was not that big, perfect for 8 year olds. The food was good. Overall stay was pleasant. This property is very run down! Pulling up to the DaysInn I should have known I made a mistake! The sidewalks were not shoveled and full of ice! I slipped after I checked in and pulled something in my back! The pool area was filthy and had a foul smell of moldy water get I think was coming from the hot tub. Under the steps entering the hot tub was mold! 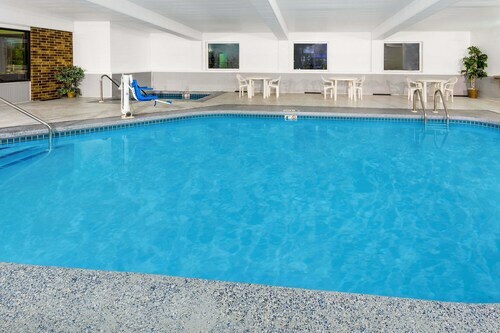 Also chewed gum was stuck to the floor and and the room and pool were freezing! Some wood trim is missing by free Windows looking out of he ok area and it looks like moldy insulation is exposed. I do not recommend this place at all! It must under poor management! 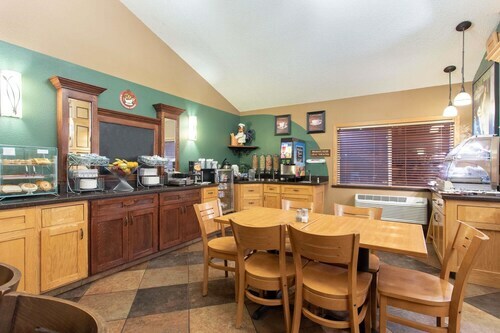 Great breakfast, great sized room and very friendly staff. Good location but smelled like body odor. The lobby really really smelled bad.